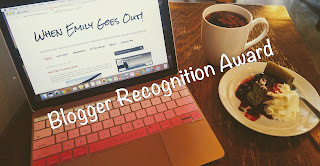 WEGO Blogger Recognition Award | When Emily Goes Out! Virtual Orchards is a collection of Navneet and her contributors' articles about living an enriching and beautiful life. The writers inspires their readers to grow spiritually and be the instrument of positive change to everybody even though life can be unfair sometimes. It's a blog made out of love of sharing all things beautiful like my blog When Emily Goes Out. My blog is my testament of every celebration, of all things that I only dream about when I was growing up in Manila, from going to hip coffee shops/ food joint to travelling to other places I only see on tv or read on magazine. It's a proof that everything is possible when you have a vision of what you want to be. Lately I decided to write with the encouragement of my dear husband-to-be🐻, every great experience that I had, to also remind myself that life had been kind to me and continuously presenting me new experience that I will cherish. Be Authentic. Be honest with ourselves about what blogging meant for us. So many of us want our blog to be the source of our income, and that is ok. Me too...someday, it would be nice, but I seem to notice that in order to bring the cash in we may need to blog something that doesn't necessarily represent who we really are, ending up not enjoying the process at all, and that is not what i want WEGO writing experience to be. With money or no money, I decided to have a time of my life whenever I am sharing my experiences, and just have faith that opportunities will present itself. Connect with fellow bloggers, participate with any activity that has to do with networking when you join support group for bloggers; there are so many of them on Facebook alone. Respect the rules and give positive feedbacks to other bloggers. - The audio really grabbed my attention. I am a fan of topics that are considered taboo; though the blog is quite entertaining and eye opening with regards business of death. - This one is close to my heart, at some point i spent few years of my childhood in Davao. Probably my go to blog if i want the latest trend on Davao City. -It's a very new blog, at quick glance the blogger seems to talk about random things, but it teaches us something at end. -Similar to Davao Eagle but it covers nationwide Philippines. -Encouraging her readers to find their "jam"---sounds fun! - A very authentic voice from a young girl from Canada, i enjoy reading personal opinion / experiences. -Another blog that speaks from their heart. The blogger has some few movie reviews! Another "mom" blog with an Etsy market. Her Mason jar arts are cute! 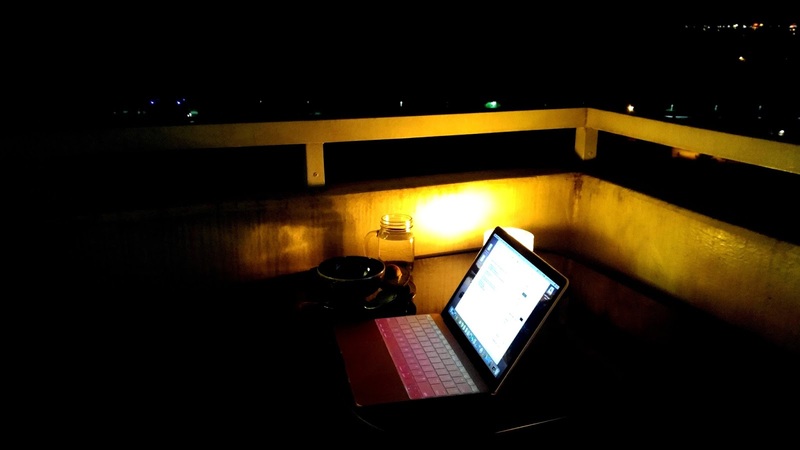 -A travel blog of young couple, reminds me of my own blog When Emily Goes Out. -Another travel blogger, i love her visuals! - i enjoy reading some of her article...worth checking out! - Captured several photos of various places in India. Plus the Eggless Orange Loaf recipe that was shared is worth trying :). - Travel, lifestyle blog---all talking about good times---Genuinelyhaving a great time! - The only blog that i nominate that talks about video games and short stories. Very colorful. 2. Write a post showing your award. 3. Share how your blog started. 4. Share two advice to new bloggers. 6. Notify each one blog that you nominated them and provide the link to the post you created. ---Thank you once again to Navneet for the nomination, to my dearest husband to be 🐻, and my sister for being a patient editor :). It's amazing that we could actually be recognized by our fellow bloggers, a great way to connect and be with our own tribe! Congrats to you & to the nominees!